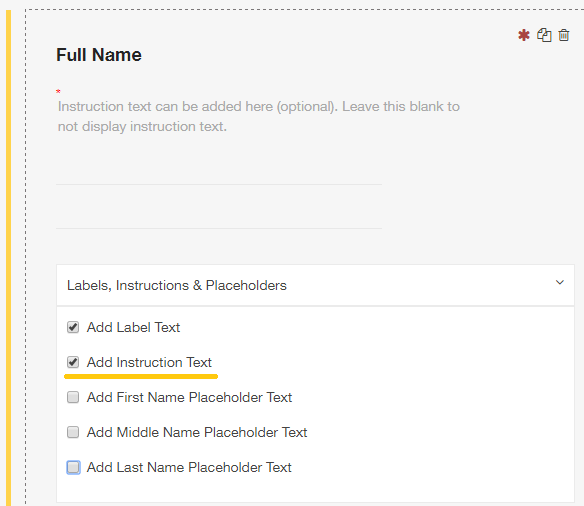 Once you are in the desired field, scroll down to find the ‘Labels, Placeholders, & Instructions ’ dropdown. Check the box that says ‘Add Instruction Text’. Type the instructions directly into the text that appears. 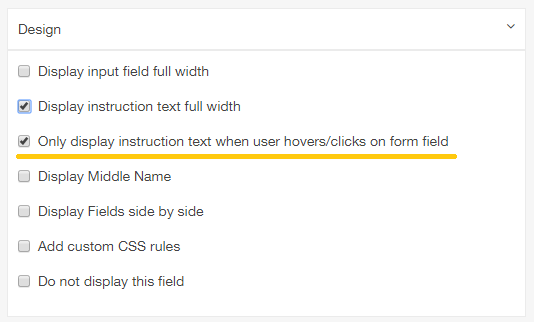 In the ‘Design’ dropdown you can specify whether you wish the instructions to appear on a hover-over To do so, check the box which says 'Only display instruction text when user hovers/clicks on form field'.